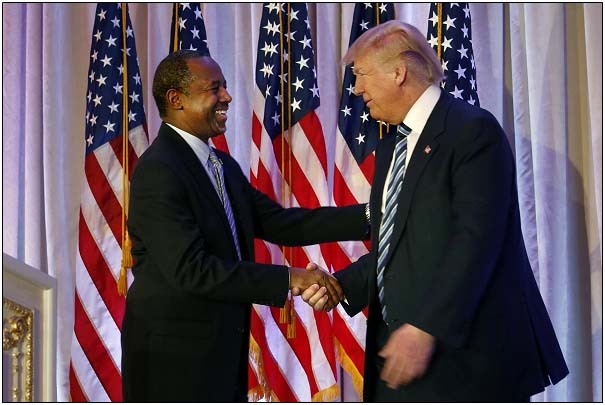 President-elect Donald Trump has selected renowned pediatric neurosurgeon Dr. Ben Carson, a one-time opponent of Trump’s for the GOP nomination, to be the nation’s next Secretary of the Department of Housing and Urban Development. So, with the idea of urban renewal and overall economic revival, just what can Carson do to reform the current nation’s public housing? How about by eliminating it? Here’s a few ideas. First off, Carson could make privatizing mortgage giants, Government Sponsored Enterprises (GSEs) Fannie Mae and Freddie Mac — placed in conservatorship under the Federal Housing Finance Agency (FHFA) since 2008 after the financial crisis — a top priority. Carson in his capacity will sit on the Federal Housing Finance Oversight Board, which advises the FHFA. One notable pick to the Trump transition team was American Enterprise Institute scholar Edward Pinto to the Federal Housing Finance Agency landing team. Pinto is a former chief credit officer at Fannie Mae. If anybody knows a thing or two about not only the GSEs, where he worked, but the financial crisis and how to prevent another one, it is Pinto. It was Pinto who penned the forensic audit of the GSEs in 2010 that outlined the primary causes of the financial crisis, including the concentration of $1.8 trillion of high risk mortgages at the GSEs. Pinto was also a vocal advocate for privatizing the GSEs, and his appointment to the transition team could indicate an openness by the incoming administration — and Carson — to doing just that. Carson would do well to sit down with Pinto, and his colleagues Alex Pollock and Peter Wallison, to discuss the matter, a monumental undertaking. Government agencies including the GSEs own or guarantee $6.3 trillion of mortgages nationwide. Talk about public housing. But it could be privatized, by selling those assets to private financial institutions, including locally to community banks. Elsewhere, Carson might also set his sights on the 1.1 million households living in public housing units, and privatizing that, too. Carson, who grew up in inner city Detroit, would be well familiar with the challenges faced the nation’s inner cities. For ideas on improving conditions, Carson need look no further than Poland, Hungary, Slovakia and Romania in the late 1980s when the Soviet Union was falling apart, where public housing was rapidly privatized with great effect. The plan decentralized housing policy from national to local control, and critically, turned over ownership of state-run housing units directly to the people who lived in the units under extremely favorable terms. As the units were privatized, turning title directly over to the tenants, it instantly created a private market for that housing. The owners could sell, but many of them chose to rent, and instantly had long-lasting incomes generated. It was a win-win. The same thing could be done in the federal and state government-owned housing units here in the U.S., creating a real stake by residents in urban renewal, and generating a new market for housing and refurbishing the existing stock. This will create economies where there were none, and opportunities to those who need it the most. It would get the federal government out of the business of public housing once and for all, and really give those who live in public housing a chance to refurbish, sell or even rent the apartments where they currently reside. Carson could consult with Balcerowicz and other experts with experience in privatizing public housing in crafting a plan that best suits the needs of U.S. communities. Finally, Carson might also want to take a look at rescinding an Obama era regulation, “Affirmatively Furthering Fair Housing” (AFFH) currently conditions $3 billion of yearly community development block grants on 1,200 recipient cities and counties rezoning neighborhoods along income and racial guidelines. The rule directs municipalities “to examine relevant factors, such as zoning and other land-use practices that are likely contributors to fair housing concerns, and take appropriate actions in response” as a condition for receipt of the block grants. This is massive overreach by the federal government, and basically puts bureaucrats in Washington, D.C. in charge of determining if neighborhoods are too racially divided or not. In the meantime, it ignores the reality that people choose where they live, by buying or renting, and based on where their employment opportunities. Carson could do away with it by beginning the process of rescinding the regulation under the Administrative Procedures Act, a process that could take a couple of years, so best to get started soon. 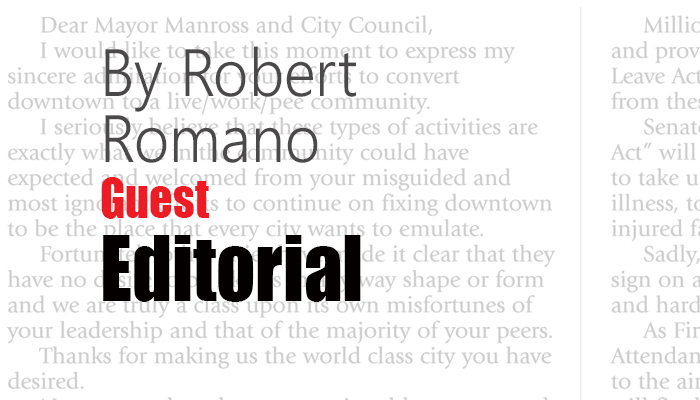 Of course, if he wanted to get started more quickly, when he works on the Department’s budget for the upcoming fiscal year, he could request a legislative rider by Congress to simply prohibit the use of funds to implement the regulation and any of its invasive assessment tools. If Carson did just those three things, he would be the most free market — and successful — Secretary of the Department of Housing and Urban Development in U.S. history, by getting the government out of the business of choosing winners and losers in housing finance, empowering individuals to have a greater stake in their communities and ending the federal government’s public housing failure once and for all.